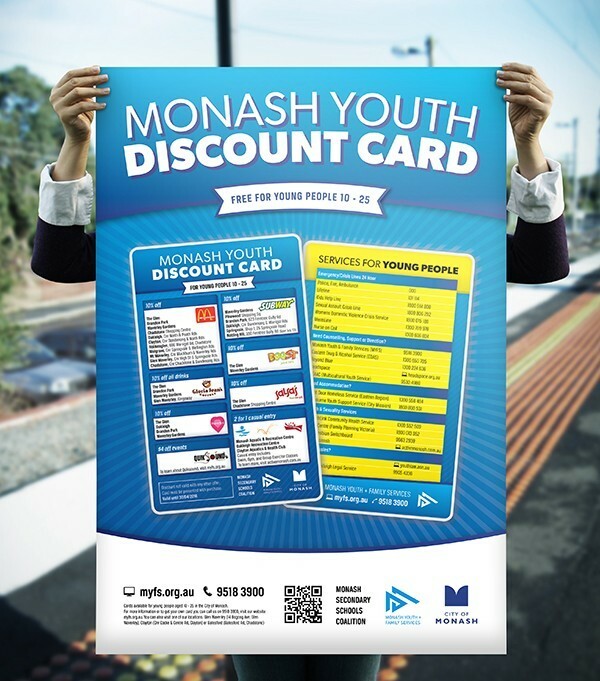 Fluent Pixel worked with Monash Youth & Family Services to create their sixth consecutive Youth Discount Card. 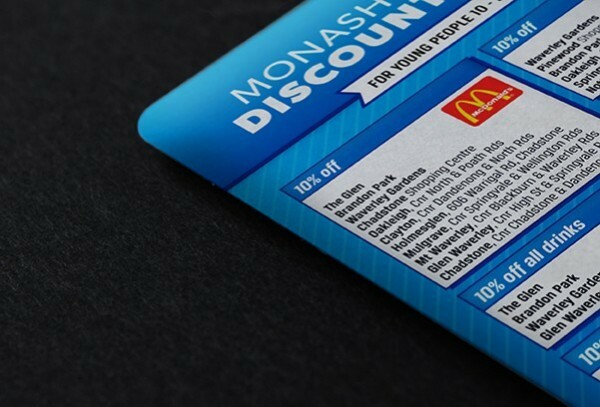 The card contains discounts to various stores located in the City of Monash, as well as contact numbers for young people to get in touch with professionals if they are in need of help or information. 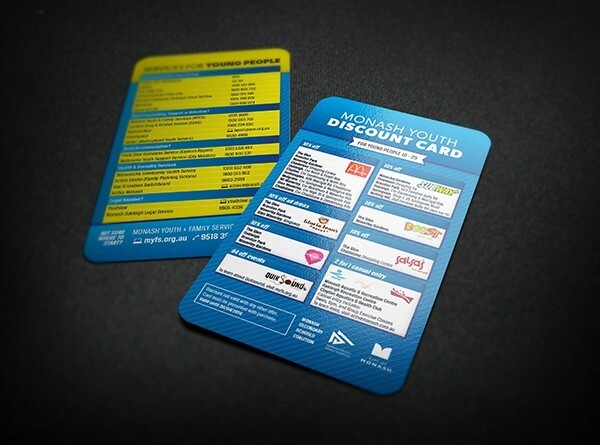 25,000 cards were printed and distributed to local high schools and services. 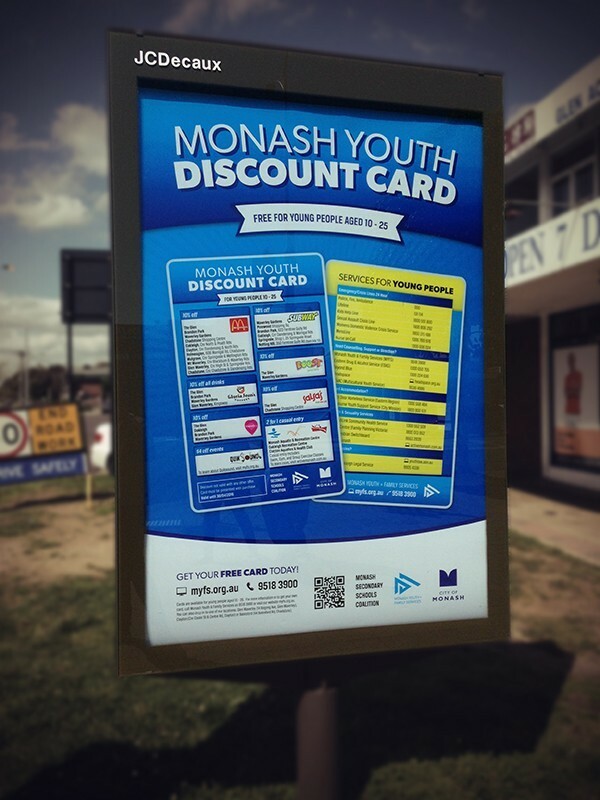 Posters and JCDecaux boards were distributed throughout the City of Monash area.